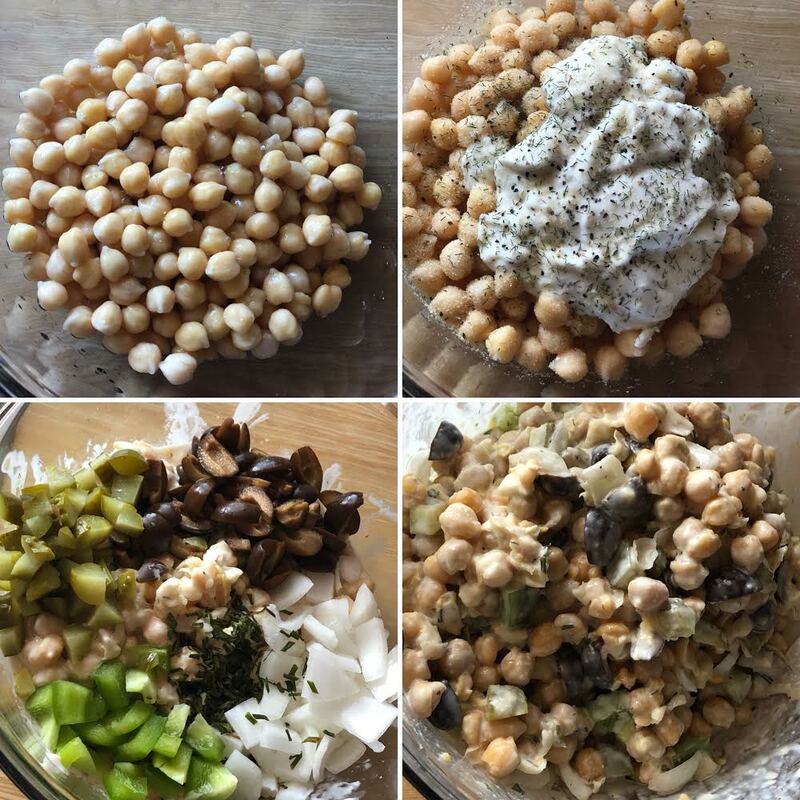 Chickpea Salad is one of my absolute favorite and most sacred of my recipes. So you are lucky to be reading this! But in all seriousness, this recipe takes no more than 15 minutes to make: no cooking required! I’m weird when it comes to cooking- my favorite part of the whole process is chopping vegetables. 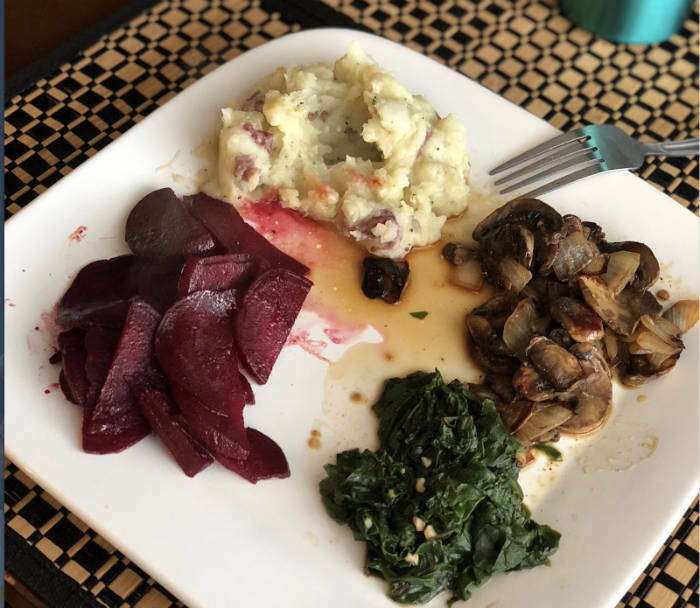 I just love taking my sweet time, cutting and chopping each little vegetable perfectly and with all my love! This recipe allows me to do just that! Not only is it a delicious, easy to make a snack, but it also has many great benefits for the body. 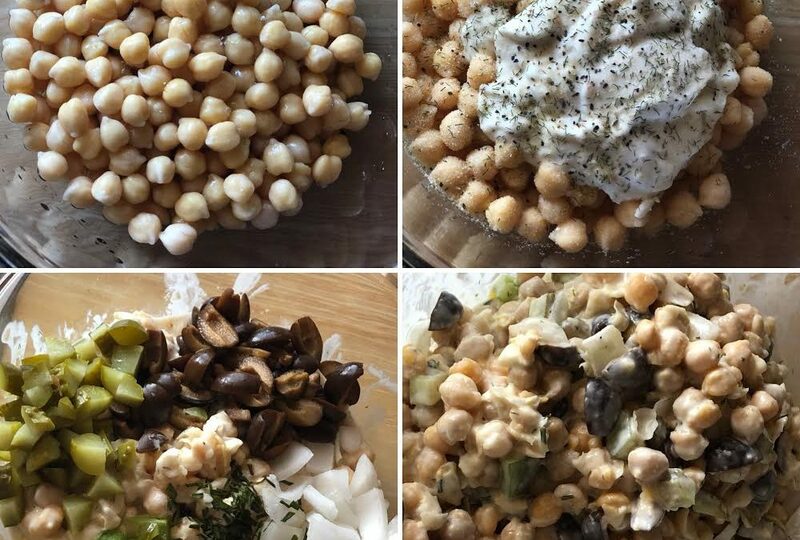 Chickpeas, otherwise known as Garbanzo beans, are packed with all those little vitamins people often forget about- vitamin K, folate, manganese, choline (what the heck is that? ), zinc, copper, and phosphorus. In addition to those small vitamins and minerals, they also contain high levels of iron, magnesium, and vitamin b-6. Chickpeas are your go-to source for fiber and protein in a vegan diet or even a gluten-free diet. I find my favorite way to eat Chickpea Salad is like a dip- with some corn tortilla chips. If I don’t do that, I either eat it by the spoonful, or even make it into a sandwich, using some whole grain bread, Chao Vegan cheese, and sprouts. Enjoy!